The Jewish National Fund was created in 1901 at the Fifth Zionist Congress in Switzerland. Its purpose has always been to ‘acquire’ land “for the purpose of settling Jews on such land”. Crucially, this land could never again be sold or leased to non-Jews. Today the JNF enjoys charitable status in over 50 countries worldwide, including Canada. While it claims to be an environmental charity, it operates as a quasi-governmental body in Israel. Today, the JNF is complicit in Israel’s illegal occupation of Palestinian territories, supporting West Bank settlements and settlers in East Jerusalem. The JNF funds infrastructure for illegal settlements in the Jordan Valley—located deep in the West Bank. While these settlements expand with the aid of the JNF, more water and lands are being stolen from the Palestinians. In illegally-annexed East Jerusalem, the JNF, through its wholly-owned subsidiary Himnuta, has been evicting Palestinians from their homes and providing these properties to the settler organization, Elad. The JNF also has a direct role in implementing Israel’s discriminatory policies against its Palestinian citizens, continuing the dispossession of Palestinians still living inside Israel (20% of the population). 93% of the land in Israel is public land that is allocated as either property of the state, the JNF, or the Development Authority. 13% of the land in Israel is under the control of the JNF, and the JNF has much influence over the control of the remaining 80% of public lands. Under the JNF’s charter, it is prohibited from selling or leasing land to non-Jews. Because JNF-Canada has official Canada Revenue Agency charitable status, it provides tax credits for donations, meaning that up to 25% of their budget effectively comes from our taxes. JNF-Canada raised $15 million after the 1967 war to build Canada Park, a 3200 hectares park between Jerusalem and Tel Aviv. Shamefully, this “tribute to Canada and the Canadian Jewish community” was built on the land of three peaceful Palestinian villages – Beit Nuba, Imwas and Yalu – after the Israeli military razed the villages and expelled their 5,000 residents, all in violation of the Fourth Geneva Convention. A 1986 UN Special Committee reported to the UN Secretary-General that the villagers were being denied their right of return to their land now occupied by this park built by JNF-Canada. It is through the Begin-Prawer Plan, a proposed law that aims to destroy 35 ‘unrecognized’ Bedouin villages and confine between 40,000 and 70,000 Bedouin into confined urban townships, that Al-Araqib is repeatedly destroyed. The JNF, through its project ‘Blueprint Negev’, is planting forests and establishing Jewish-only settlements over the ruins of these Bedouin villages. The Begin-Prawer Plan has been condemned by the European Union, the UN Committee on the Elimination of Racial Discrimination, over 90 Canadian authors, and many others. The JNF’s ‘Blueprint Negev’ works hand in glove with the Begin-Prawer Plan. Take Action to Revoke the Jewish National Fund of Canada’s Charitable Status Now! The Star reported that the Jewish National Fund (JNF) “has helped the Jewish state acquire land, extend settlement, and rehabilitate the environment,” but it does not mention that the organization is very controversial, since it acquired much of this land from dispossessed Palestinians, has covered up demolished Palestinian villages with recreational parks and forests, and that it practices racial discrimination in the provision of land and housing by only leasing its land to Jews. Most disturbing is JNF Canada’s project, Ayalon Canada Park, built over the ruins of two depopulated and destroyed Palestinian villages — Imwas and Yalu — as well as over the lands of the destroyed village of Beit Nuba. Our politicians and banks should not be endorsing Palestinian dispossession. Independent Jewish Voices’ campaign to expose the JNF is a much-needed initiative for peace and justice. Your article errs when it states that “the Jewish community of Toronto plans to honour Harper.” The Jewish community is not monolithic and many, probably most, of Toronto’s Jews do not support Steven Harper. I am an active member of the Toronto Jewish community and I certainly do not wish to honour Mr. Harper, for either his domestic or his Middle East policies. The JNF, which is honouring Mr. Harper, is only one of very many Jewish community organizations. It is — and, as a Canadian Jew. I write this with sadness — one of the more hawkish and, frankly, racist Jewish organizations around. It actively discriminates against non-Jews acquiring or leasing land in Israel. It is very active in the dispossession of Bedouin from their traditional lands in Israel’s southern desert (the Negev). And it purchases land for, and otherwise supports, Jewish-only settlements in the occupied Palestinian territories, which exasperates whatever slim chances there are for a two-state solution to the Israel/Palestine conflict. By accepting an honour from the JNF, Mr. Harper is tacitly supporting the JNF’s agenda. This is an agenda that most Canadians, and most Canadian Jews, reject. IJV Canada’s Campaigns Coordinator, Tyler Levitan, interviewed on Media Mornings about the racist JNF, and the Harper government’s protection of JNF-Canada from public scrutiny. Independent Jewish Voices (IJV) is disturbed that the Canadian government is spending public funds and resorting to unprecedented political tactics to protect the charitable status of the controversial Jewish National Fund (JNF) from public scrutiny. Foreign Affairs have gone so far as to promote the ‘monitoring’ of an IJV event criticizing the JNF. IJV is working towards exposing the discriminatory nature of the JNF, which is affecting one of the JNF’s charitable branches here in Canada. JNF-Canada is a registered charity, despite the JNF being a quasi-governmental organization in Israel that discriminates against non-Jews in its land-holdings, and supports illegal Israeli settlers and settlement infrastructure in Palestinian territories. “It is highly unusual for our government to protect a foreign-based charity by seeking to undermine a Canadian organization’s campaign to challenge its charitable status,” stated IJV spokesperson, Tyler Levitan. The CRA is fully aware that the JNF’s activities contravene Canadian public policy. Other documents uncovered as part of the Access to Information request reveal that the CRA produced a document called “Questions and Answers: 2010 Fall Report of the Auditor General of Canada Chapter 7 – Registered Charities”. In this document, they ask themselves: “If a registered charity undertakes illegal activities abroad, what action will the CRA take? Will the CRA investigate or revoke the registered status of the Jewish National Fund?” Unfortunately, the Auditor General has yet to ask the CRA this question, despite having knowledge of the JNF’s illegal activities abroad. In what appears to be a quid pro quo, the JNF will be honouring Stephen Harper at its main fundraising Gala on December 1st in Toronto. “It is scandalous that the Harper government uses undemocratic tactics to defend an openly discriminatory organization, uses public money to shield the JNF’s behaviour from public scrutiny, and then has the chutzpah to collude with the JNF to glamorize the Prime Minister at its upcoming Gala. Coming on the heels of the Quebec corruption inquiry into political and mafia collusion, the Harper government’s intertwined relationship with the JNF does not pass the smell test,” concludes Levitan.IJV is calling on Canadians to demand accountability from the government for this blatant misuse of public funds and political interference. It is essential to our democracy that the CRA be allowed to act independently of the ideological demands of the Harper government and and to investigate the legality of the JNF’s charitable status. George Costanza: Don’t Support the JNF. “Seinfeld” was my favourite TV sitcom and Jason Alexander’s character George Costanza was the funniest character on that show. That’s why I’m so troubled that Jason will be headlining the Jewish National Fund (JNF) fundraising gala in Winnipeg on June 4th. Tweet Jason now, urging him to “Do the Opposite.” Don’t do Twitter? Click here to send him a message. Militant Jewish settlers have invaded E. Jerusalem with the JNF’s support. Israeli soldiers do the JNF’s dirty work of expelling Israeli Bedouins. No joke: Israel’s Prawer Plan seeks to expel 40,000 Bedouin Israelis from their ancestral lands in the Negev. The JNF is complicit in this massive dispossession, with plans to build forests over the ruins of the razed Bedouin villages. The JNF markets their forests as “green”, so we need to inform their unsuspecting supporters that JNF forests bury evidence of Palestinian homes. Why would Jason tweet that “The end (of the conflict) will come when each can understand the pain and suffering and needs of the other”, yet support an organization that perpetuates the pain of Palestinians for the supposed benefit of Jews? Maybe he doesn’t know? Inform Jason by Tweeting or emailing him to stop discriminating against Palestinian citizens of Israel. Join Palestinians, Jews and Internationals in opposing the JNF’s assault on Palestine. Join Palestinians, Jews and Internationals in opposing the JNF’s assault on human rights. Jason needs to hear from you that supporting illegal settlers and treating Palestinians as second class citizens is unacceptable. Please help support IJV’s campaign to challenge the JNF with a donation, and become an IJV member. As a child I thought the Jewish National Fund was doing good. Like so many of us, I put coins into a JNF blue box. I brought my dimes and quarters each week to fill a JNF card in Hebrew school and felt proud to be planting trees in the Land of Israel. However, as an adult living in Israel, I saw with my own eyes that the JNF was not what I believed it was. And now I’ve learned that the JNF is helping settlers evict Palestinian families in East Jerusalem and taking lands lived on by Bedouin citizens of Israel for generations. It’s time we send a message to JNF Canada demanding they stop collaborating with the settlers. Reason to Resign: The JNF helps Jewish settlers evict Palestinian families and take over their homes in East Jerusalem (1). Seth Morrison, a JNF board member quit over the issue. The JNF tells us it procures land and promotes development in Israel for Jews. I didn’t know what that really meant. Now I know that the Israeli military has been destroying Bedouin villages in the Negev so the JNF could plant a forest in the desert that they advertize as ecologically “green”. In past years, when I answered the JNF’s call and “planted a tree in Israel”, I never imagined it would be by demolishing people’s homes and taking their land. Others who have supported the JNF are also learning, heeding their consciences and ending their support. JNF Washington, DC, director Seth Morrison learned about the JNF’s collaboration with Israeli settlers to evict and take over Palestinian homes in East Jerusalem. Morrison resigned, saying “the JNF is a force in preventing long-term peace.” (2). 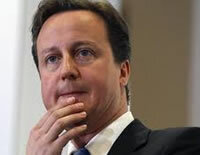 Last year, British Prime Minister David Cameron stepped down from his honorary JNF position for similar reasons (3). JNF 2011 donations in Britain were only 50% of what they were in 2010. It’s nothing new for the JNF to bury and hide destroyed Palestinian villages. After the 1967 war, JNF Canada built Canada Park, a leisure area for Israelis and tourists that covers over the ruins of three razed Palestinian villages in the West Bank where the inhabitants were forcibly driven out and their homes demolished. I have no doubt that the JNF’s donations funding come from good, well-meaning people who believe their money goes to ethical development – not violent evictions based on the families’ ethnic background (4). The Israeli Bedouin village of Al-Araqib has been destroyed dozens of times to clear space for a JNF forest (6). Join our Israeli and Palestinian allies in helping the villagers protect their homes from the JNF’s so-called “green development”. One more thing I’ve learned is that even though I’ve stopped donating to the JNF, all Canadians’ tax dollars still support the JNF because it’s a tax deductible charity. We can’t let Canadian’s tax dollar subsidize the JNF’s dirty work in violation of Canadian law (5). Please send a message to JNF Canada now and ask them to stop destroying Bedouin villages and lives. We Canadian Jews are the JNF Canada’s natural constituency. It is our responsibility to turn the JNF into an organization which acts in accord with age-old Jewish and universal values. If we don’t do this, who will? Tell JNF Canada to stop evicting Palestinian families, taking their land and creating even more barriers to a just and lasting peace. p.s. I know you might have more questions about the JNF. Please check out our video on the JNF. Help us to end Canadian tax-payers role in this injustice. Independent Jewish Voices is committed to supporting the global campaign to end the JNF excluding and destroying the livelihoods of the non-Jewish citizens of Israel, and those living under Israeli occupation. Join us in exposing JNF Canada. News report by Lia Tarachansky, IJV member and the Israeli correspondent for the Real News Network. Tarachansky is a Russian-Israeli-Canadian who grew up in an Israeli settlement in the West Bank. Published February 04, 2005, issue of February 04, 2005.In a landmark decision, Israel’s attorney general ruled last week that one of the fundamental tenets upon which the Jewish state was built — acquiring and reserving land for Jews to live on — is discriminatory and should not continue with state assistance.Attorney General Menachem Mazuz was responding to a Supreme Court case involving Jewish National Fund, an organization that helped build the Jewish state by purchasing land for Jewish settlement — largely with funds donated by Jews in America. Land owned by the fund is designated as public land and leased by the government to homeowners. In his January 26 ruling, Mazuz said that the government may no longer market the land if the fund allows only Jewish tenants.Among American Jews, Jewish National Fund is best known for its iconic blue tin collection boxes and for its trademark work planting trees in Israel. But the fund helped write Israeli history with its land purchases, which were crucial in determining the borders of the nascent state. Today, JNF owns 13% of Israel’s land, home to 70% of the population. Through a 1962 agreement with the government, it has leased that land to Jews through the government’s Israel Land Authority. The attorney general’s decision throws that historic role into flux.The chairman of JNF told the Forward that his organization is in talks to sever its official relationship with the state in order to preserve its mission of protecting the land for Jews. Beyond the consequences for JNF, the attorney general’s ruling could be pivotal in a larger debate over how to reconcile Israel’s status as a Jewish state with its commitment to equal rights for all its citizens. This is not the first case in which the government’s treatment of Israeli Arabs has been challenged, but legal experts say this case could be a breakthrough for advocates of Israeli Arab rights, who have long complained of unequal government treatment. Aside from debates over land rights, citizenship rights are the other main arena in which Israel’s treatment of its Arab citizens faces challenges. The Supreme Court is currently reviewing a challenge to a recent Israeli law that bars non-Jewish spouses of Israeli citizens from coming to live in Israel under family reunification policy. Many defenders of the traditional vision of Zionism, including Leket, fear that extending identical land and citizenship rights to Arabs could weaken Israel’s Jewish majority and threaten its Jewish character. Leket appears to have public opinion on his side. In a poll commissioned by JNF last month, 70% of respondents moderately or strongly objected to JNF land being offered to Arab Israelis. The issue of land rights in Israel heated up recently when the Bush administration protested a plan, disclosed two weeks ago, to confiscate lands in East Jerusalem that are owned by Palestinians living in the West Bank. The plan, drafted last June by a two-man Cabinet committee on Jerusalem, including ministers Natan Sharansky and Zevulun Orlev, treats Jerusalem property owned by West Bank Palestinians as “absentee property” under 1948 rules aimed at Arab refugees. Mazuz ruled Monday that the absentee rules could not apply to individuals separated from their land by a “unilateral” Israeli government action. The absentee dispute does not involve Israeli citizens, however, so it has fewer implications for the Israeli legal landscape than the JNF case. The complaint against JNF stems from April 2004, when six Israeli Arab families won Lands Authority bids for plots in the Galilee town of Carmiel. Later, after learning that the plots were owned by JNF, the authority froze the deal, citing fund rules. Leaders of American groups that supported the Arab families’ legal appeal acknowledged that there were sound historical reasons for JNF restrictions. “In 1948 and before, a few hundred thousand Jews were pitching their tents in a hostile Middle East,” said Ami Nahshon, president of the New York-based Abraham Fund Initiatives. For now, the attorney general is permitting the Lands Authority to go on marketing JNF land as long as it swaps parcels of land with the fund when an Israeli Arab wins a bid, ensuring JNF control of a consistent percentage of Israel’s land. The compromise is opposed by Arab-rights groups that brought the case. Israel, unlike America, has no clear laws limiting private landowners’ discretion in how they market their land. But experts said a privatized Jewish National Fund would likely still face legal challenges, in part because of the intricate web that connects JNF to the state. One key link is the 1960 Basic Law that defines all JNF land as “Israel lands” along with the 80% of the country’s land owned by the government. Even if official ties are severed, further problems could be created by the source of some JNF land. Some 60% of the fund’s 550,000 acres was purchased from the government in a special deal soon after the 1948 War of Independence. Arab-rights advocates say this should preclude JNF from marketing this land only to Jews. “It can’t be regarded as private land, where the Jewish National Fund will be given a free hand to do whatever it pleases,” said Dan Yakir, chief legal counsel for the Association for Civil Rights in Israel, one of groups that brought the case. Leket, however, said the fund had fairly bought the land it owns, with donations from Jews round the world — donations that were “designated for the purchase of land to be owned by the Jewish people and held in trust by the Jewish National Fund.” He said he would not allow that historic covenant to be broken. 4. the destruction of the natural environment.